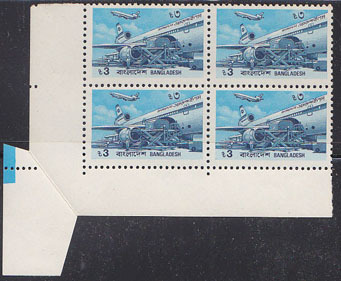 6531 VAR BANGLADESH (1988) Loading cargo plane*. Paper fold error in corner block of 4. Scott No 350.